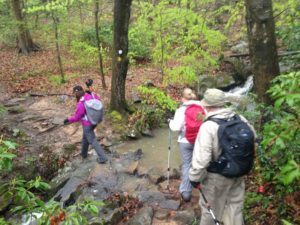 Trails for walkin' in the rain - GetGoing NC! To the glass-half-empty crowd, this weekend’s forecast of rain followed by more rain topped by a dash of drizzle (and more rain) may seem discouraging. But if you don’t mind seeing that half-full glass fill further, the wet weekend offers opportunity. You just need to know how to dress for it and where to best enjoy a walk in the wet woods. We’ve come up with five of our favorite rainy day romps. 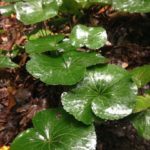 We tell you why these trails are better when wet, then refer you to the online hiking guide we compiled for our friends at Great Outdoor Provision Co. for specifics on making each hike happen. Grab your slicker and embrace the weekend. Our favorite hike in the rain, period. In a mild rain, normally nondescript Sycamore Creek turns into a feisty mountain stream. The rock gardens that in drier times collect languid pools convert Sycamore Creek into a whitewater rollick that makes you want to grab the nearest playboat and dive in. Head to the main trailhead off the far parking lot for the entire 7.2 miles, or, get right to the frothy fun by starting from the Bike & Bridle trailhead, for a 4-mile adventure. More info and directions here. The view from Stone Mountain to Wolf Rock on a cloudy day. This popular loop is typically appreciated for its great views — views that will be obscured in this weekend’s forecast conditions. 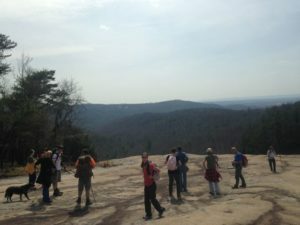 Rather, what you’ll get are low clouds dancing above the meadow that’s home to the Hutchinson Homestead, passage along the especially exuberant Stone Mountain Falls (on a wood staircase) and the occasional peeks across the valley to Wolf Rock when you top out on STMO. Another big plus: you’ll miss the crowds that typically flood the trail this time of year. 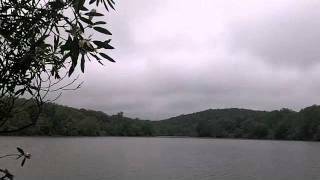 You’ll find galax along the Eno at Occoneechee Mountain. You like hiking in the mountains in the rain? Then you’ll like hiking at Occoneechee Mountain, where the trail passes through five distinct eco zones, at least two of which transport you to much higher climes. 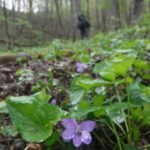 Hiked clockwise, the trail begins with a steep climb (Occoneechee tops out at 867 feet, the highest spot in the Triangle), then deposits you along the Eno. 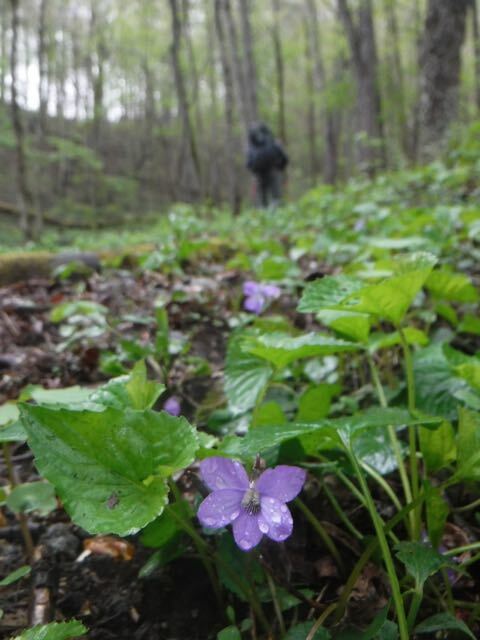 There, a 30-foot cliff provides a cool environment where rhododendron, mountain laurel, galax and other flora of the Southern Appalachians flourish. 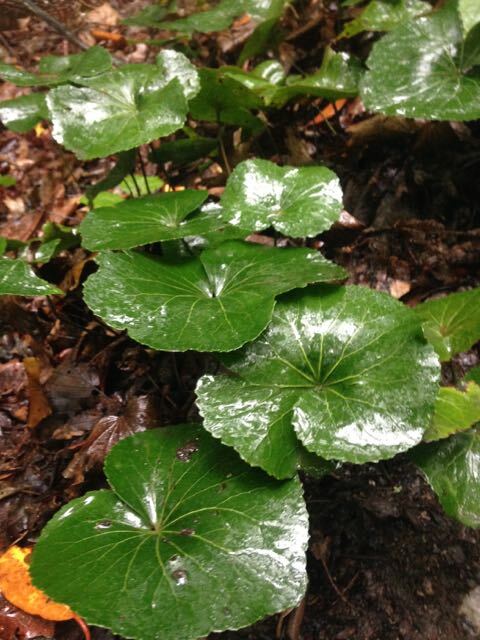 If you’re properly geared up for the elements, there’s no better opportunity for some through head-clearing than a hike in the rain — a long hike in the rain. The Ridgeline Trail links Crowders Mountain in North Carolina with Kings Mountain State Park in South Carolina. The North Carolina stretch is particularly contemplative, a rolling stretch with no grueling climbs, leaving enough oxygen to fuel the thought process. Not up for a shuttle? 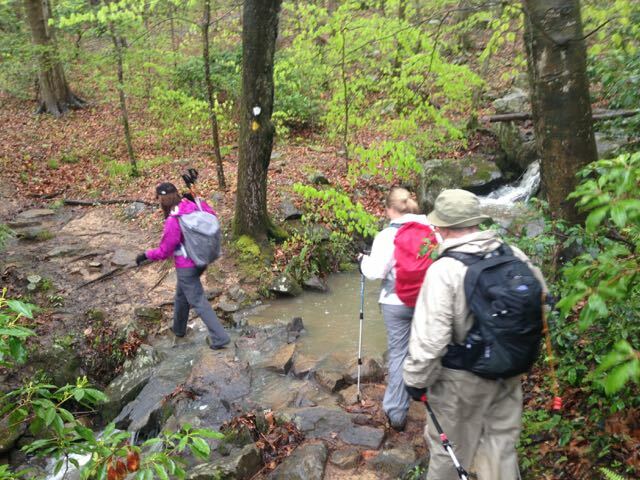 Walking in the rain is ideal for an out-and-back hike. The clouds are never content to settle over Price Lake. Constantly on the move, they shroud the lake in silence one minute, part briefly the next to reveal a glance at Grandfather Mountain. Rhododendron rim the lake, offering a degree of protection from the rain and glowing a brilliant dark green when coated in wet. The trail is accessible (the trailhead is along the parkway) and the distance makes it doable for even occasional hikers.